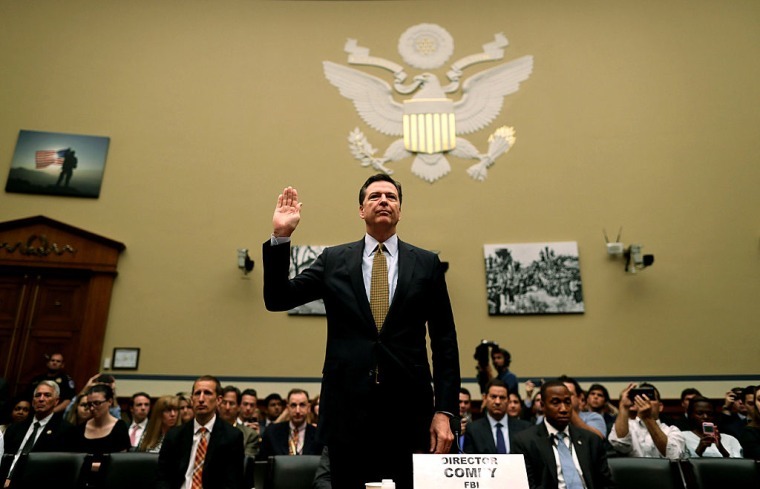 The former FBI director could address the Senate as early as next week. Update, 1/6/17, 12:22 p.m: Comey is scheduled to testify before the Senate Intelligence Committee on Thursday, June 8 at 10 a.m, according to the Associated Press. Former FBI Director James Comey will testify that President Donald Trump "pressured" him to end the Bureau's probe of collusion between Russia and a member of Trump's team, according to a new report in CNN. The source claimed that Comey is unlikely to discuss the particulars of the probe of possible collusion between Trump and Russia. However, he "appears eager" to outline his "tense" interactions with the president on the matter. On May 9, Trump fired Comey and gave conflicting explanations for doing so, before admitting in an interview that the Russia investigation was on his mind during the dismissal. The New York Times reported earlier this month on the existence of the detailed memos kept by Comey, outlining his interactions with Trump. On the subject of former national security adviser Michael Flynn, currently under investigation for connections to Russia and Turkey, Trump said “I hope you can see your way clear to letting this go, to letting Flynn go.” The White House said the report was not a "truthful or accurate portrayal of the conversation." Comey has not yet announced the date when he will appear before the Senate Intelligence Committee. He has reportedly coordinated with Special Counsel Robert Mueller III to ensure his testimony is within the limits of the law. Mueller was appointed to lead the Russia investigation after Comey's firing.